Indian Trail, North Carolina’s siding, roofing, window, door, gutter and shutter replacement contractor is Hatch Homes. We are a factory trained and certified company that is backed by third-party endorsements from many of the top experts in the remodeling industry. Hatch Homes is Indian Trail’s Hardie Board Siding Installer. Our company goal is to offer a unique experience to our customers by providing professionalism, transparency and software used to customize your home’s exterior while driving down project costs. Indian Trail, North Carolina is one of the gems of the greater Charlotte area. The community rests south of Charlotte between Matthews, Mint Hill, Weddington, Monroe & Unionville. Indian Trail is a city that has experienced extreme growth over the last two decades. 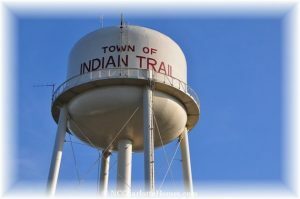 CCN posted an article stating that the city of Indian Trail, NC’s population had risen from 1,942 (1990) to 33,518 (2010)! This population surge has led to a increase in demand for professional siding replacement services. Hatch Homes is the preferred siding company in Indian trail, North Carolina. We have partnered with James Hardie Building Products to deliver Indian Trail residents with quality Hardieplank installation at affordable prices. Our partnership allows our siding company to provide services that other Indian Trail siding contractors can not match. We also offer Mastic vinyl siding. Hatch is a siding contractor that has been certified and endorsed as a quality and knowledgeable siding replacement company by the Vinyl Siding Institute (VSI). Call Hatch Homes today to schedule a siding estimate with one of our certified siding technicians to learn more about new house siding paneling. Hatch Homes replaces and installs new house windows in Indian trail, North Carolina. 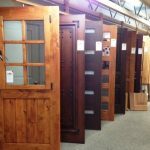 Our company offers a variety of window brands, styles and colors. Hatch Homes’ window brands include Simonton, Atrium, and Interstate. Our factory trained and certified window technicians are experienced with installing windows of almost any variety. Call Hatch Homes for a window replacement estimate to install vinyl windows, wood windows or composite windows on your home today. Roofs need replacement for a handful of reasons. First, your roof can be old, weathered and unsightly. Second, your roof can be structurally failing by leaking or causing moisture to penetrate your home’s ceiling, attic, etc. In either situation, Hatch Homes is Indian Trail NCs leading roof replacement contractor. 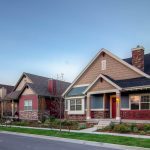 Hatch Homes is partnered with Certainteed, Tamco and Atlas roofing. Our relationship with these manufacturers allows our roofing company to offer warranties, service and quality unrivaled by other Indian Trail contractors. Our company installs asphalt shingle roofs, metal roofs and roofing systems made of composite materials like synthetic slate. Contact Hatch Homes for a roofing estimate today.